I live just 40-45 minutes away from London and I’ve visited for pop concerts, family outings to tourist attractions such as Madame Tussauds, and shopping in and around Oxford Street. There are a few things I’ve yet to cross off my wish-list though, which made me wonder what hotel choices are available for anyone who wants to pack more into their trip and combine it with a hotel stay. Here are some of my favourites. I grew up in a family of four, so a family friendly hotel was definitely top of mum and dads list when it came to travelling with my sister and I. I think some of their values have rubbed off on me, but I have my own ideas too. I think the Holiday Inn Chessington ticks all my boxes for quality, service, and something different. Right on the doorstep of the Chessington World Of Adventures Theme Park (a plus!) , this hotel also wins for its African theme, rooms with views over an animal packed nature reserve, and one of my must-haves, a swimming pool. It looks like all the family is catered for in the Zafari restaurant as well – so this one is a winner. 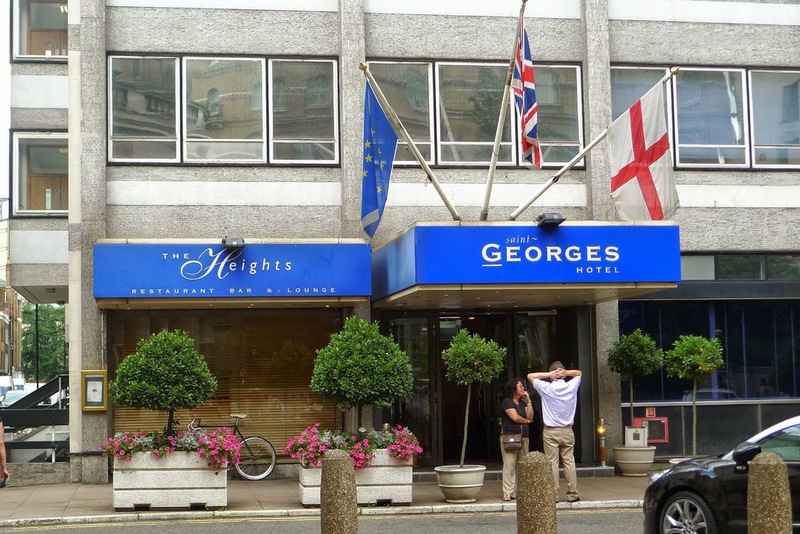 Saint Georges Hotel would be great for me as a West End musical is on my to-do list, and this hotel is in a great location for that. 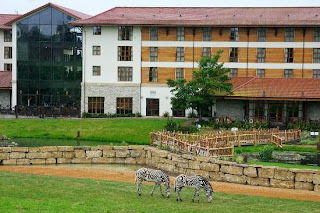 It’s also a short walk away from London Zoo, another on my list. I’m a bit of a fan of any kind of hotel facility with a view, so the 15th floor restaurant and bar appeals here, as does the light dishes and sandwiches on sale in said bar, as it’s nice to have a relaxed dining option. Some of the bedrooms have a London skyline view as well. My other choice is Browns Hotel, part of the Rocco Forte Group. I won’t go into the history of the Forte Hotel dynasty, and its changes of ownership etc, but it’s a brand I know. This hotel is 175 years old, and I like the idea of staying in a place with a story behind it. Other plus points include the Afternoon Tea (yum), and all the little touches they have in place for children. I would definitely bring my nephew here – children get their own room service, junior bath accessories, spa treatments, and either a copy of the Jungle Book (written by Rudyard Kipling during a stay in the hotel), or age related magazines. 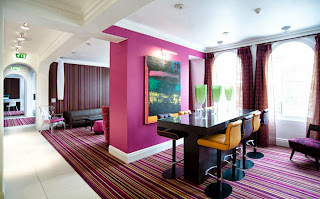 ﻿﻿﻿﻿Ok, I am thinking a bit outside the box with Safestay London, as it seems to be a mix of hostel, posh hotel, and budget accommodation all mixed into one – take a look at their website and you’ll see what I mean. But the pictures just jumped out of the page at me, so I had to mention this one. ﻿﻿ I thought I’d end the blog with a ‘coming soon’ choice that I discovered when searching for luxury hotels. Does anyone else fancy staying on a great big Yacht moored on the river Thames? If so look out for the new Sunborn London. I’m not sure I’d like a cruise, but the entertainment options, and rooms planned for this floating hotel sound great. 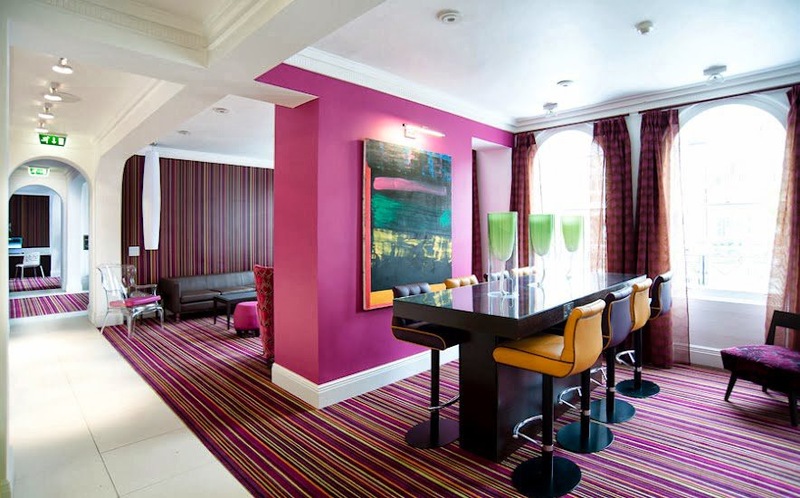 These are some of my favourite choices, but feel free to join the debate if you’ve stayed in a great place in London – rockstar service, budget beauties, or anything else you recommend. Thanks for the suggestion, great to hear of a good experience.